This one bedroom, two bath condo is located in a dog friendly complex just steps to multiple ski lifts, shopping, dining, biking, and hiking. Natural light floods the unit with multiple skylights and great southern exposure. A lofted bedroom, with en-suite bath and sitting area, creates separation from an ample living space complete with fireplace. 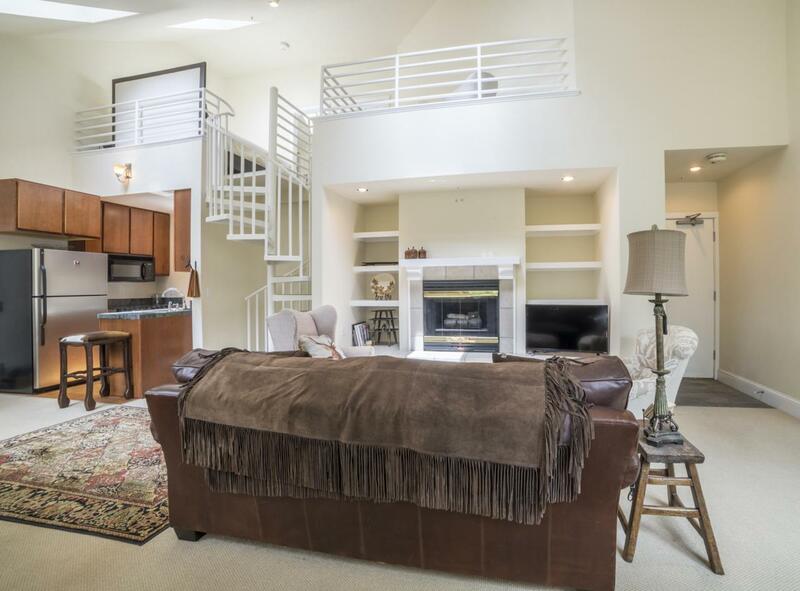 The spacious private patio basks in sunlight and provides big Wilson Peaks views to the West. Ski locker and a deeded parking space are just an elevator ride away. Quarterly HOA dues include electric, gas, water, and cable.